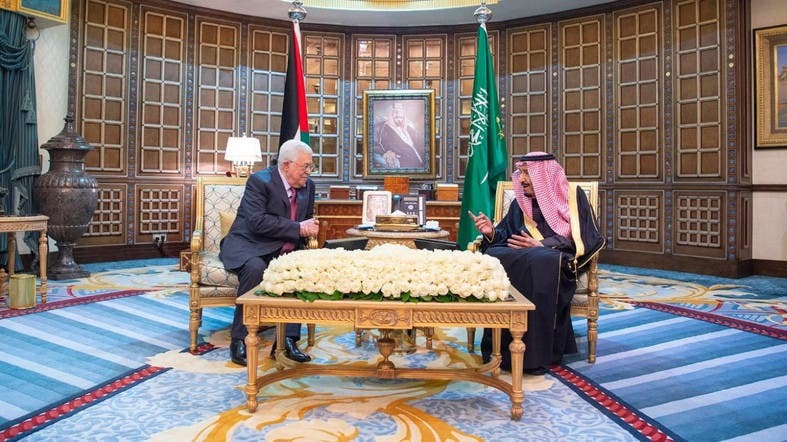 Saudi Arabia’s King Salman assured President Mahmoud Abbas that Riyadh stands by the right of Palestinians to establish their own state with Jerusalem as its capital. 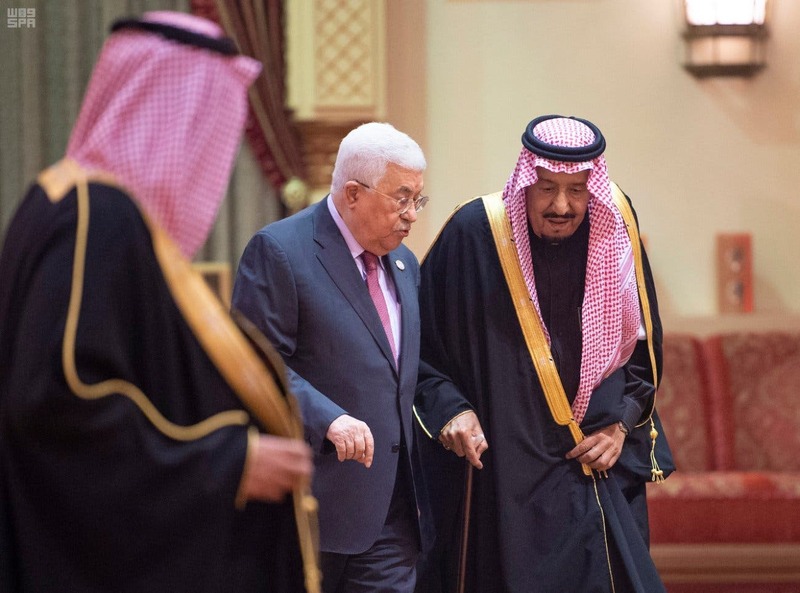 King Salman’s statement came on Tuesday after formal talks between him and Abbas in which they discussed the latest developments on Palestine. 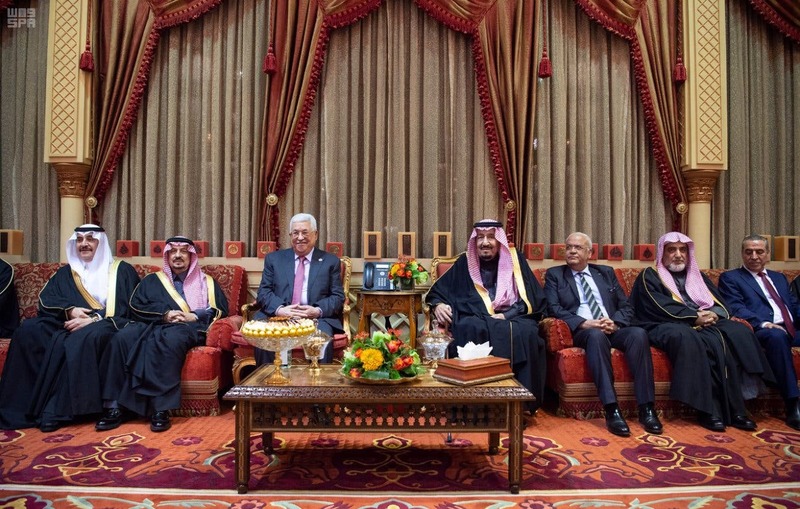 For his part, the Palestinian president expressed his appreciation to King Salman and for Saudi Arabia’s support for Palestine. 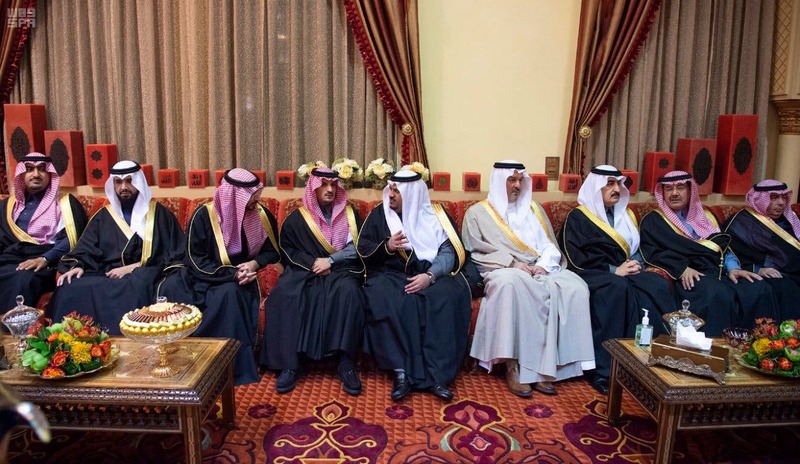 From the Saudi side, the talks were attended by Riyadh Governor Prince Faisal Bin Bandar bin Abdulaziz, Minister of State and Member of the Council of Ministers Prince Mansour Bin Muteeb bin Abdulaziz, Minister of State for Foreign Affairs Adel al-Jubeir and Minister of Finance Mohammed al-Jadaan. On the Palestinian side, Abbas’ delegation consisted of Secretary of the Executive Committee of the Palestine Liberation Organization Dr. Saeb Erekat, the head of the Civil Affairs Authority Sheikh Hussein, the head of the General Intelligence Service Majid Faraj, the Presidential Advisor for Diplomatic Affairs Majdi Khalidi and Palestinian Ambassador to Saudi Arabia Bassem Abdullah Al-Agha.